A purposeful and powerful summer internship experience that will enrich your mind, spirit, heart, and resume. We provide an environment for college students to grow in their faith, their professional capacities, and their relational skills – all while learning to incorporate their core beliefs into every aspect of their lives. 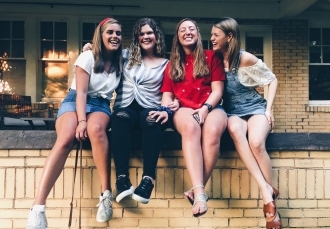 Through this summer experience, each student will set the foundation for building meaningful, lifelong relationships that will empower them to grow as leaders and men and women of faith. 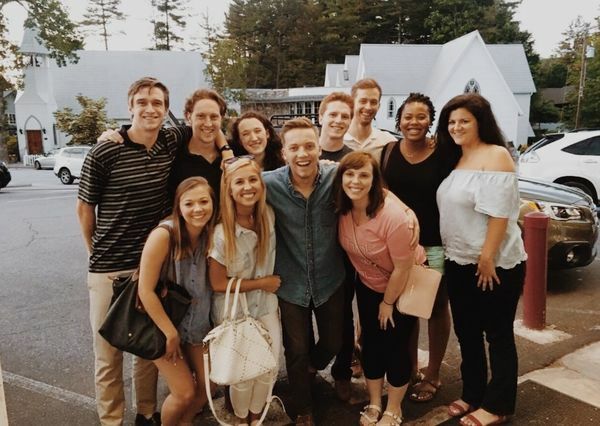 The Atlanta Associates Program is organized by a large group of families and individuals who are passionate about the next generation and want to give their time and resources to invest in them. There is a great diversity of age, career path, church affiliation and stage of life in our community, but we all share a common commitment to Jesus and the pursuit of healthy, intentional, deep friendships. We are fortunate and grateful to partner with the Atlanta Resource Foundation for administrative and logistical support for this program. "I feel as though I left this summer with a deeper self-awareness, deeper friendships, and a deeper relationship with God. There were so many instances this summer that I fought to hear God's voice amidst decisions or uncertainty. With that, I feel as though my relationship with Jesus grew so much through not only listening to him but also through seeing Him in the eyes of other people, in situations, in stories, etc. I truly have a new understanding of marriage, family, friendship, and community, and I would do it all over again in a heartbeat." Each associate will be placed in a full-time job under the guidance of a local business leader who is familiar with the larger program. In addition, there will be regular scripture studies, dedicated time for community service and mentors to meet with weekly. Housing is also provided, allowing associates to cultivate strong relationships with one another through daily interaction. Special exceptions may be considered, but it is important that applicants understand that their attendance is required all eleven weeks / weekends. There are two main reasons for this: first, we must honor the arrangements we have made with the employers and second, given the short timeframe of the program, every day, and particularly the weekends, are intentionally programmed with experiences vital to maximizing the summer for oneself and their fellow associates. The associates typically live in secure, gated apartment-communities in the Atlanta area, close in proximity to program leadership. The men and women's housing are located in separate apartment complexes. The cost of running this program is offset by the income the associates earn at their jobs and the support of the local community through the Atlanta Resource Foundation. Their income will be shared and used collectively to cover their expenses throughout the summer. In other words, associates will neither make nor lose money during their time in the program. "This summer I developed a relationship with Jesus. Before my time in Atlanta I was blind to how important having a relationship with Jesus actually is. Now I see things through a whole new lens and am truly just all around happier." The Atlanta Resource Foundation partners with volunteers in our community to support young men and women in their spiritual and vocational development in this summer program.